Broadchurch star Olivia Colman will be acceding to the throne in The Crown, a series spokesperson has confirmed. 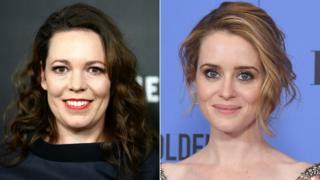 She will take over from Claire Foy, who plays Queen Elizabeth II in the early years of her reign, in seasons three and four of the show. Foy, who has won a Golden Globe and TV Bafta for the part, previously said she was aware she’d only be in two series. Colman is expected to be seen in the role from 2019. It’s yet to be revealed who will play her Prince Philip. A spokeswoman for the show said the subscription service had confirmed seasons three and four and that Colman was “confirmed to star”. Former Doctor Who actor Matt Smith is currently starring as the Duke of Edinburgh. “This is the last stint,” Foy will be seen telling Graham Norton later in this week’s edition of his BBC One chat show. “It’s over, I’m done. Evening Standard TV editor Toby Earle echoed many people’s opinions, saying Colman was “already the Queen”.